Plumbing is a very great job in this day and age. Plumbers are quite literally the first line of defense in the fight to keep water clean and safe to drink. Although it takes much time and effort to reach the height point of the career. Here in Rock Hill, SC, our plumbing employees are well trained and are experts in their field of work. They will be able to help get your house, building, or place of business functioning in tip top shape. This way everyone will be happy and less stressed because that pesky toilet isn’t overflowing every time someone flushes it. 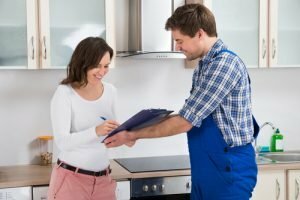 While you may think that fixing something like that is easy, it may come as a shock the amount of hard work and experience it takes to become a licensed plumber and work for a reputable company. What Does it Take to Become a Plumber? In the field of plumbing there are many steps that people who want to pursue plumbing as a profession must take. As far as education goes, the Bureau of Labor Statistics (BLS) states that the majority of people looking into plumbing usually go through an apprenticeship. These types of programs offer the most extensive training in this field of work. These apprenticeships may be available through local branches of contractor organizations as well as unions like the NAPHCC, the National Association of Plumbing-Heating-Cooling Contractors. Next comes the classroom training typically lasts upwards of 500- 750 hours. The coursework begins with Occupational Safety and Health Administration (OSHA) safety training courses. If it is someone’s first year, they may also have to take the CPR training course. This is mandatory for all OSHA jobs. The apprentices will later have to take mathematics courses as well as learn how to read blueprints and plumbing basics including instructions on pipes, valves and fittings. They will eventually move up to the intermediate courses that range anywhere from gas heating to bathtubs. Once they have finished the classroom work it is time to go to on the job training. The time it takes to complete this is a mandatory minimum of 7,500 to 8,000 hours. They will work with a Journeymen which is someone who has completed a minimum of 4-5 years of the training program. Or they will also be put to work with a Master Plumber who is someone who has truly mastered the profession. These individuals have been in the program for a minimum of 8 years. The trainee will learn from these people how to cut holes in studs, walls and floors, as well as installing piping and fixtures. They will also learn skills that involve dealing with clients as well as answering questions for inspectors. Once the formal training has come to an end, the apprentices are now promoted to Journeymen Plumbers. Journeymen must be licensed in most states. Continuing education is typically required to retain this license. A plumber in the United States earns an average annual wage of $50,171 as of 2018. As far as a plumbers certification, it is all dependent on what their main field of work is whether it be residential, medical, gas piping, etc. Well first of all, these workers aren’t just getting paid to make sure your toilets and sink are working properly. Hiring a professional plumber will save you time and money as they are very efficient and will be able to fix the problem in no time. They are there to make sure that your house stays safe and free from being damaged by water and plumbing related accidents. No matter how skilled you may be at doing home repairs and maintenance, nothing does quite the same job as a professional plumber from a certified company. They will be able to run a plumbing diagnosis and inspection so that they know exactly where and what the problem is so they will be able to bring the tools needed to fix it then and there. Instead of messing around with the piping and trying to troubleshoot the problem, a professional will know exactly where to start looking for the issue as well as knowing how to fix it. Plumbers are also knowledgeable in being able to figure out where leaks are coming from very quickly so they are able to minimize any potential damage to the structure as well as checking to make sure there isn’t anything dangerous like mold. They will also be licensed and insured so that if there are any damages caused by them during their work it will be of no extra charge to you. You will get your plumbing situation fixed no matter what. 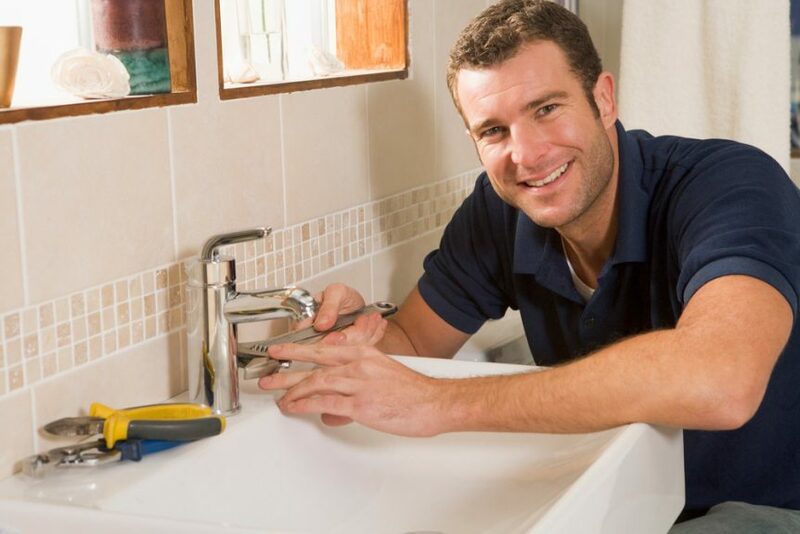 It is a great idea to hire a plumbing company to get you the service you need. This is because the are generally reputable and have seen it all. They know all of the ins and outs of the business and will be able to get a licensed plumber to your home or business in and out in flash. The job will be done, the problem will be solved and everyone will be happy with the result. These companies do this because they care. They care about the results and keeping their customers happy. They know that you may have trouble fixing these problems yourself and they are absolutely willing to send a highly experienced individual to come and fix your situation. AAA City Plumbing is a fantastic family owned business that has been around since 1994. They are voted the #1 plumbing service in the Carolinas. They have an excellent track record as well as award winning service. Their motto is “Your Plumber for Life” and preserve that saying as they strive for excellence and to make sure that you get the service you deserve as well as peace of mind in your home or business. They have 5 out of 5 stars on their customer reviews.They have a great staff of highly trained and knowledgeable individuals who are always willing to come to you when and where you are in need of service. They offer upfront pricing so there are never any surprises after the job has been finished. They are open all days of the week from 8am-10pm which is great for the customers. There isn’t a time of day where you can’t get ahold of them when you need them. You can rest easy knowing the problems you may think are disasters are just everyday work for these professionals. In the Carolinas they are second to none. SolidWheel.com > Professional Services > Why Hire a Plumbing Company?